Celebrate A Bat Mitzvah With The Most Luxurious Limo Service in Mississauga! The Becoming of a man is celebrated in Style and Flare! With today being a special day in your child’s life, we are here to make all of your transportation needs available in ease and fashion. The Jewish law says that children are exempt for the commandments. This day brings your child into adulthood, and makes them responsible for all of their actions. With the importance of this day, Limo Service Mississauga is here to provide the best in service and reliable transportation. With quality and service to our customers being our number one motto, we strive to give you the best experience and memory for this special day. Our customer service brings this special event to life. When this day comes forward for your child, the actual location of the gathering is never unreachable by us. We will promptly pick you and your child up at any location and deliver everyone to the appropriate gathering. If you want to enjoy our services outside of the party, we offer limo rides around the city and to famous hotspot locations for meals and fun. No matter where you want to use our limos, we are there to make sure that you arrive on time and leave in fashion and elegance. There is a lot that goes into the day of your Bar-bat mitzvahs. As a parent you have spent countless hours planning and details everything. With pour services, you will not have to worry about any of the transportation. This gives you room to breathe and allows you to focus your time on other issues involving the gathering and your child. You can sit back and relax in our limo knowing that every detail is taken care of. With a worry free environment, you will be able to have fun and create many memories on this special day. 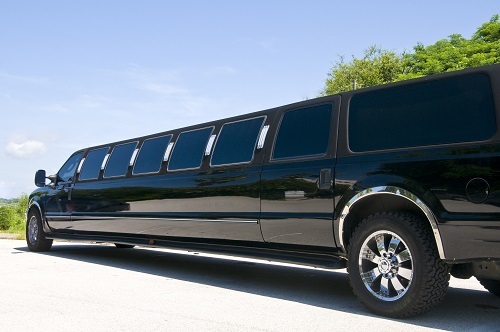 We offer the best in competitive prices for our limo rentals. When you book with us, you get the satisfaction that the final cost of our services is just that, final. There is no surcharges and or hidden fees. This gives you the relief that when you book with us, the final cost is only what you have to pay. You can turn your attention to other important manners, including your child and the gathering that you have planned. When you child is becoming an adult you want to give him or her a gift that will last a lifetime. Our limo services offer just that. We provide top of the limo limousines and customer service that will not be forgotten so easily. Our drivers are there for your beckoning call, no matter what your desire is. Limo Service Mississauga allows for you to have a memorable experience not only for your child, but for you as well. Call or click today to book your Bar-bat mitzvah and create a memory that last a lifetime.